In 2007 Dr. Suven Bhattacharjee, an ophthalmic surgeon began thinking of a pupil expander that would be user friendly and also be useful for very small incisions. Paper napkin drawings and midnight note scribbling became common events. While the wealth of work done by predecessors was a big asset it was clear that some out of the box thinking would be required to make that quantum leap. It took five years to give a meaningful form to that thought. All existing pupil expansion devices had a gap with an upper and lower part within which the pupil margin was wedged. 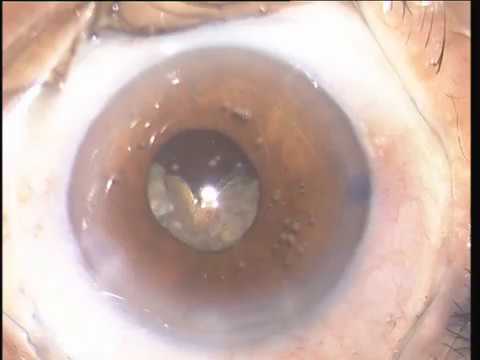 It appeared fundamentally wrong to try and push this biplanar structure through a slit corneal incision – it would obviously snag the incision. It also dawned that the Injector was necessary for existing devices only to circumvent this problem. But the injector tube/ nozzle occupied precious space precluding delivery through small incisions. Hence, a device that did not snag the incision would not require an injector. In 2013 Dr. Bhattacharjee filed a PCT patent application for a device with a radically different concept. He designed a thin uniplanar pupil expansion device with notches and flanges from 5-0 (0.1 mm) nylon surgical suture. As alternate flanges were tucked under the iris the notches engaged the pupil margin resulting in an expanded pupil. This device could be easily slid in and out of a 1 mm slit corneal incision - a feat that no pupil expansion ring in the history of ophthalmology had achieved. The design took advantage of the fact that the iris can be reversibly bent without any harm. Though the concept and drawing were in place, device manufacturers weren’t forthcoming. So he painstakingly handcrafted over 300 pieces of the first generation Bhattacharjee Ring (now B-HEX Pupil Expander) from his home based lab requiring nearly one hour per piece with twenty five percent being rejected. Needless to mention, many more hours, failed attempts and sleepless nights were spent before reaching a prototype that could be used in human eyes. Clinic hours were curtailed to return home early and entire weekends were spent in the lab for nearly two years. These prototypes were sent out for global trials to key opinion leaders in India, Germany, France, UK, Spain & the Netherlands. 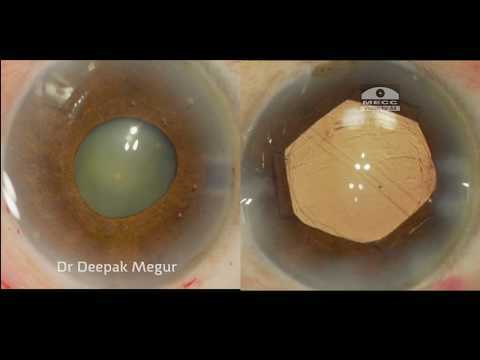 The best paper award at the All India Ophthalmological conference and American Society of Cataract and Refractive surgery meeting in 2014 were a shot in the arm and there was no looking back. Developing the device and filing global patent applications was a huge drain of personal finances but winning the Biotechnology Ignition Grant (DBT, Govt. of India) in 2014 provided partial support. Peer appreciation in the form of awards and accolades that regularly came in were a constant source of encouragement. A Gold medal at the India Innovation growth program (IIGP 2016) was a turning point. It provided technology commercialization training by Stanford Graduate School of Business, global commercialization support by IC2 Institute (University of Texas in Austin) and a visit to TiE Silicon valley to see the start-up environment. The hand crafted devices were replaced by machine made ones in 2016. The simple design allowed machine production of consistent and safe devices without a joint. Production times and costs were also reduced. An innovative carrier and delivery system allowed uninterrupted visibility of the device during its passage through the incision. Though the seed of the entrepreneurship was sown long back, Med Invent Devices Pvt. Ltd. was incorporated only in 2016. 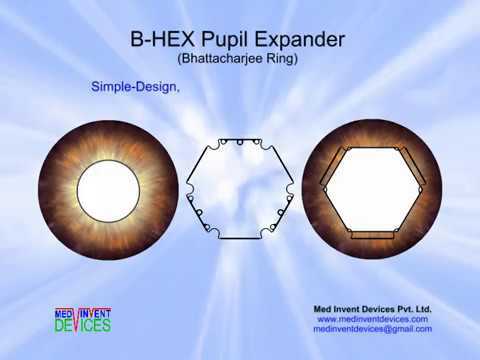 The B-HEX Pupil Expander was launched at the 2017 All India Ophthalmological Conference in Jaipur at 40% of the cost of the prevailing standard of care device. The B-HEX was completely sold out and we are humbled and overwhelmed by the rich testimonials that have constantly been pouring in from all quarters.